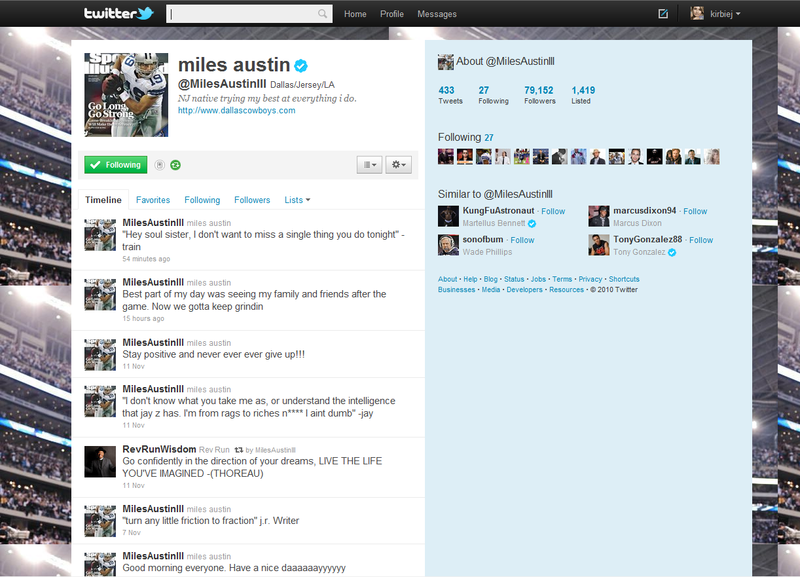 Oh Miles Austin. Not only are you 100% Grade A babe meat, you’re also in tune with your feminine side. Gotta love a man who gets down to Train. He seems to have a great sense of humor and you can’t knock him for that. It literally makes my morning when I wake up and see him posting random lyrics! Previous PostPrevious It’s Shoe Box Time!